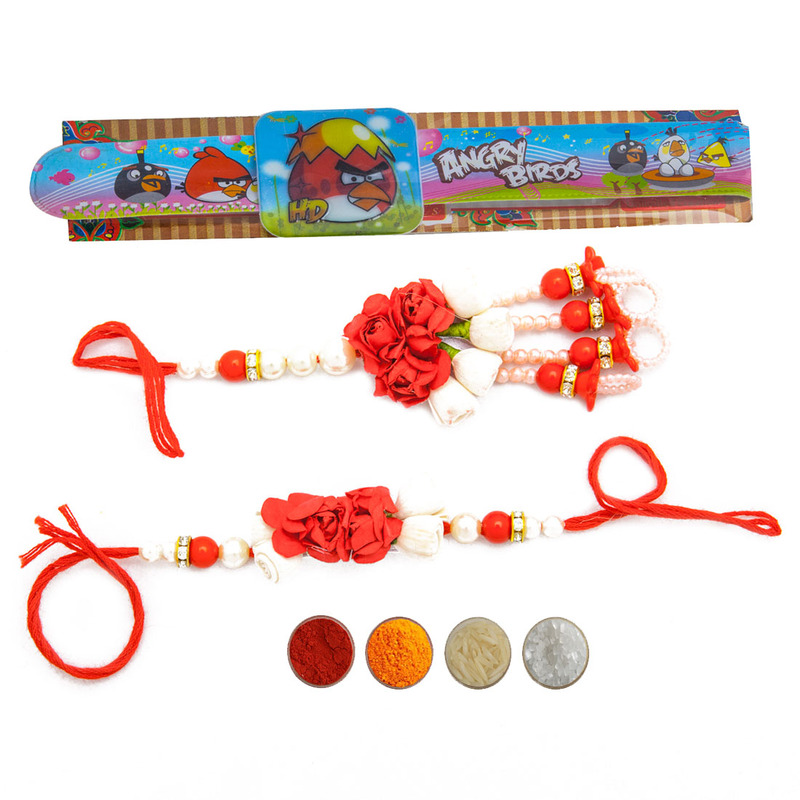 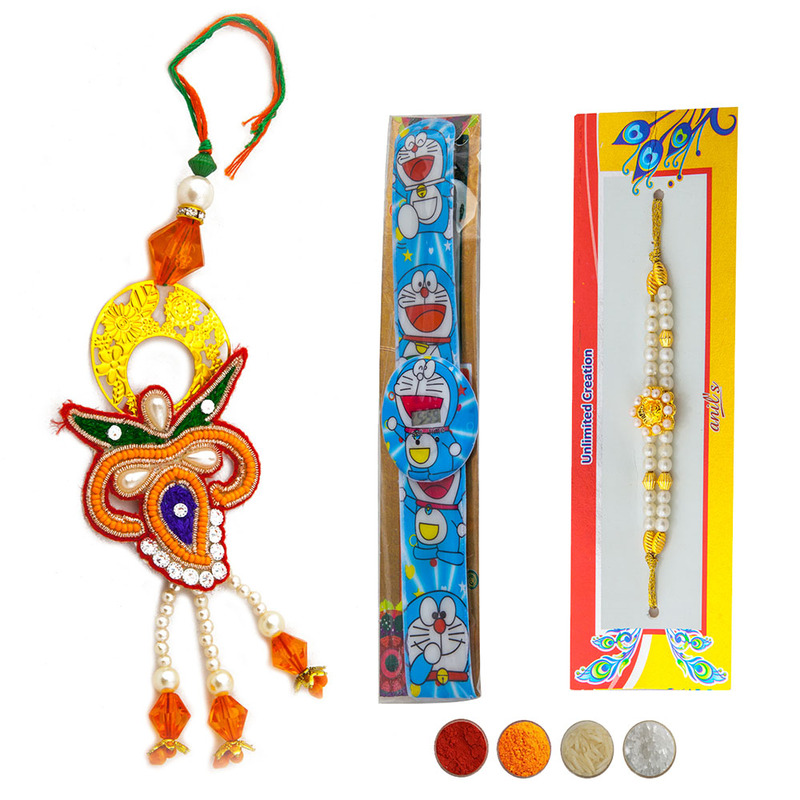 This is a beautiful set of two Bhaiya Bhabhi rakhi. 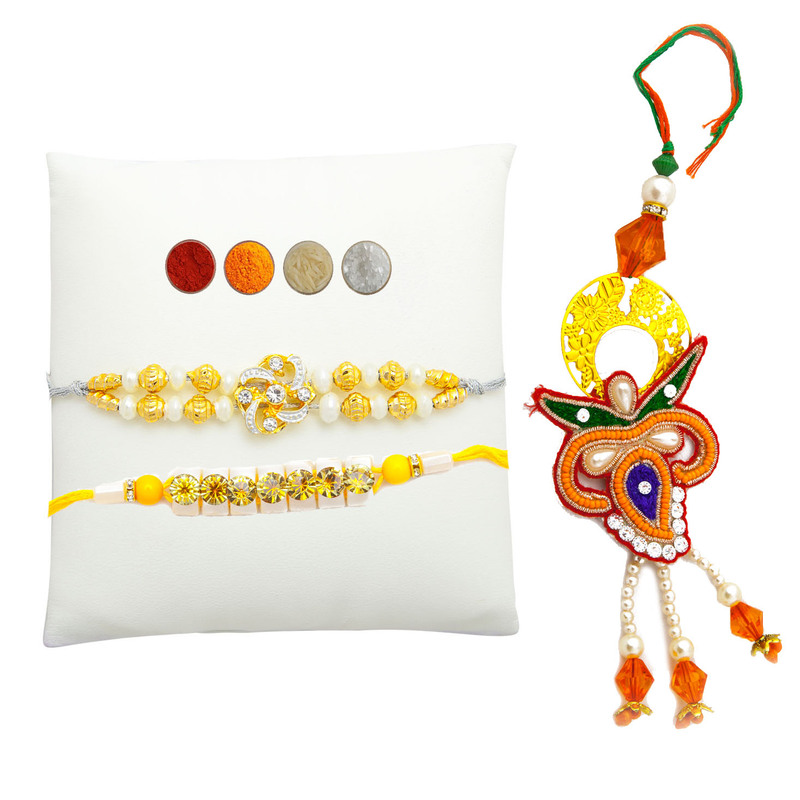 The set is presented to you by Elite Handicrafts that consists of two Bhaiya ki rakhi and two Bhabhi ki lumba. 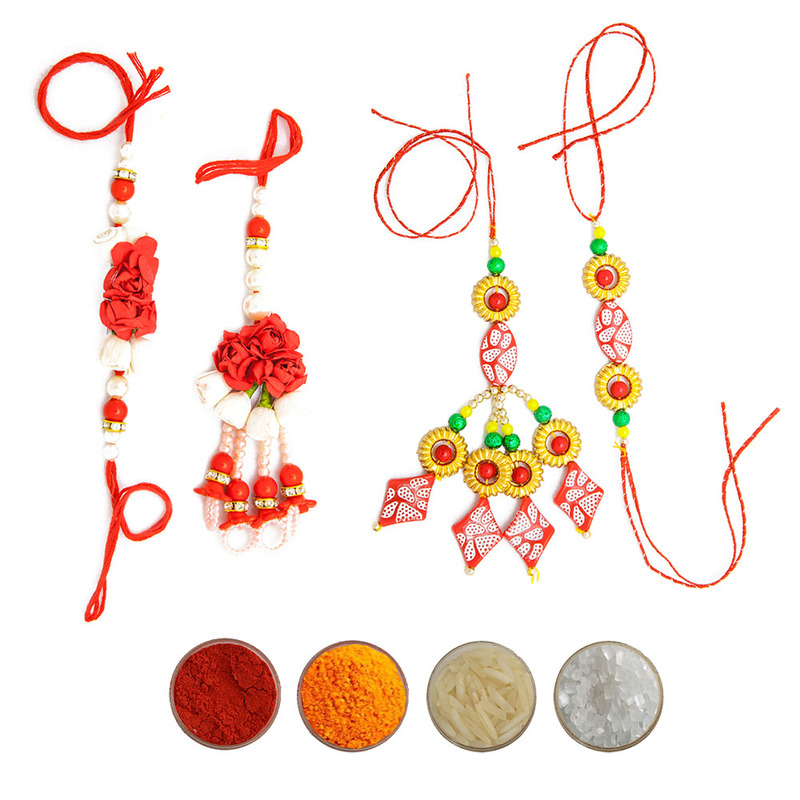 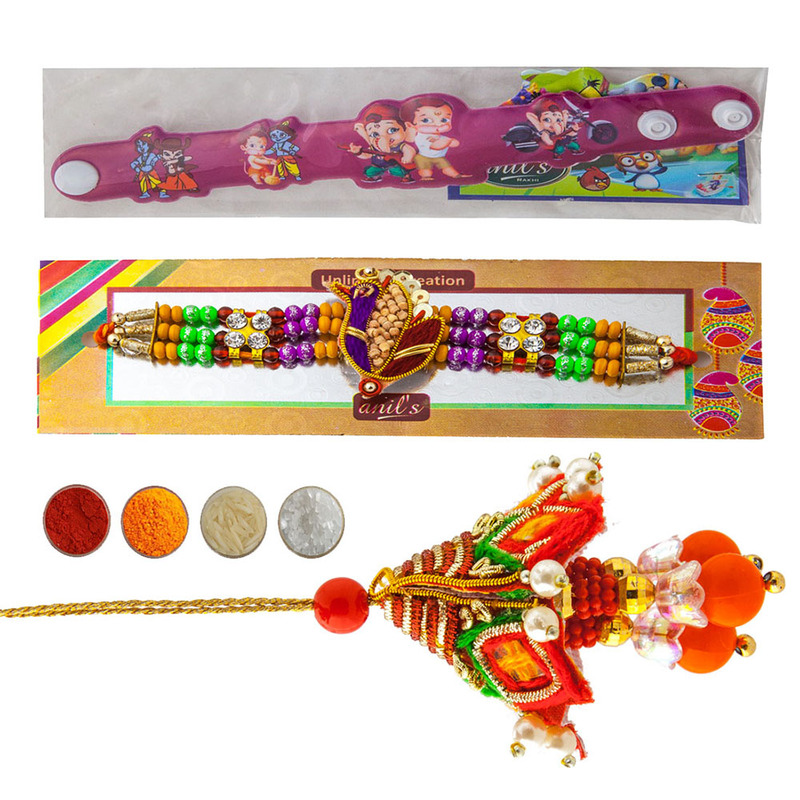 We offer complimentary roli, chandan, chawal and mishri for rakhi tilak.